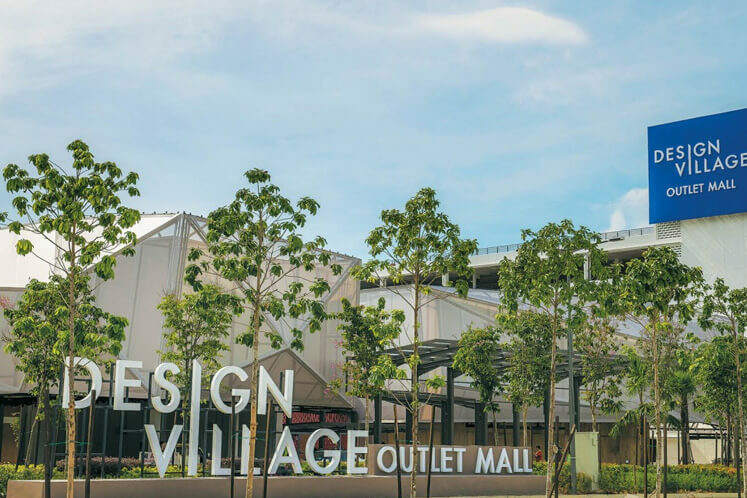 WITH its open plan concept and green spaces with water features, Design Village Penang is a family-oriented outlet mall that offers a pleasant shopping environment. The mall in Bandar Cassia, Batu Kawan, Penang attracted 75,000 visitors in the first week of its opening last November. The number of visitors was 375,000 in December last year. PE Land (Penang) Sdn Bhd, the developer and manager of Design Village Penang, is targeting to bring in more brands that could add value to the shoppers’ retail experience at the outlet mall. Since its launch, the 24-acre Design Village has reached an 85% occupancy rate for its main hall, said Andy Song, COO of Design Village. The mall is targeting an optimal tenant mix of at least 60% to 70% fashion and accessories, sports, shoes, bags and leather goods as well as beauty and personal care from international labels, either from monobrand or multibrand stores; 15% to 20% F&B; and the rest from entertainment, general trading and household services. Going forward, Song said Design Village intends to bring in the right brands to complement the current tenant mix and which benefits the market. However, he said the brand list is confidential for now and the new brands will only be announced once confirmed. “We already have a lot of renowned brands in the mall, including Adidas’ largest outlet store in Malaysia, Sacoor Brothers, Guess, Superdry, Gap, The Cosmetics Company, Esprit, Padini, Levi’s, Kipling, Bonia, Sembonia, Toyworld and many more, and we want to bring more into the mall,” he added. One of its new additions would be a food court within its F&B area, said the mall’s general manager Tay Ai Leen. Offering Penang’s famous food attractions as well as international cuisines, including Japanese, Korean, Thai, Chinese and Western, as well as al fresco dining, the food court is targeted to open by mid-2017, Tay told TheEdgeProperty.com. The food court is being designed by Blu Water Studio — an award-winning design studio that specialises in hotels, resorts and restaurant designs. “There will be nine food stalls in the food court, which has a built-up of approximately 13,912 sq ft within the 50,000 sq ft F&B area. The food court will be a major draw for us,” she said, while describing the atmosphere to be surreal yet casual and comfortable, which will offer the public an enjoyable dining experience. “It will be surrounded by many tropical trees. The F&B area will become a very appealing environment for food and recreation. It will benefit our shoppers, staff and tenants and the surrounding industrial township,” she said. Design Village has recently launched a marketing programme dubbed the Traveler Privileges Card in March this year. It will be launching another programme — the Tourist Privileges Card — in June. The cards offer additional benefits and discounts for certain purchases at the mall. Tay is confident with the outlook for Design Village as it is a unique outlet mall. “Besides the 2,500 car parks and its unique architecture, the mall is built within a cool tropical garden [surrounding] every shop on the ground floor. Shoppers can relax and enjoy the parks, water features and central plaza as well as the children’s playground,” she added. In addition, the bright outlook for Bandar Cassia and Batu Kawan and the entry of IKEA Penang nearby will augur well for the outlet mall. Bandar Cassia, the 6,000-acre growth area envisioned to be a satellite township, has already attracted major names in electronic and manufacturing, international universities and premier developers like Aspen Group, IKEA, KDU College and Eco World Group Development Bhd. The area is accessible via major highways such as the Sultan Abdul Halim Muadzam Shah Bridge (the second Penang bridge), Lebuhraya Bandar Cassia and the North-South Highway. “We welcome IKEA as we will co-exist in Bandar Cassia — the ‘new Penang’. With the ventures of international players, it will increase the footfall and we will also benefit from the varied offerings to shoppers,” said Song, adding that the mall currently targets to attract 12,000 to 16,000 shoppers daily. Meanwhile, PE Land has plans to build a hotel and condominiums in the vicinity of Design Village in the future. “The developments are in the pipeline as we are a mixed development and we will be looking to launch condominiums followed by a hotel,” said Song. This story first appeared in TheEdgeProperty.com pullout on April 21, 2017. Download TheEdgeProperty.com pullout here for free.